Yes, I love going to Missouri for the opportunity to go to auctions. I'm know they have auctions in Texas as I've been to a couple of them. But they are different in Texas than they are in Missouri. Besides, I have a partner in crime in Missouri; actually a couple of them. There's my mentor, my dad, my sister Rhonda, and my best friends Cindy and Debbie. Saturday Rhonda, William and I took in a small auction in Fort Scott, Kansas and here's what I scored. My most expensive purchase of the day was this crock for $12.50. 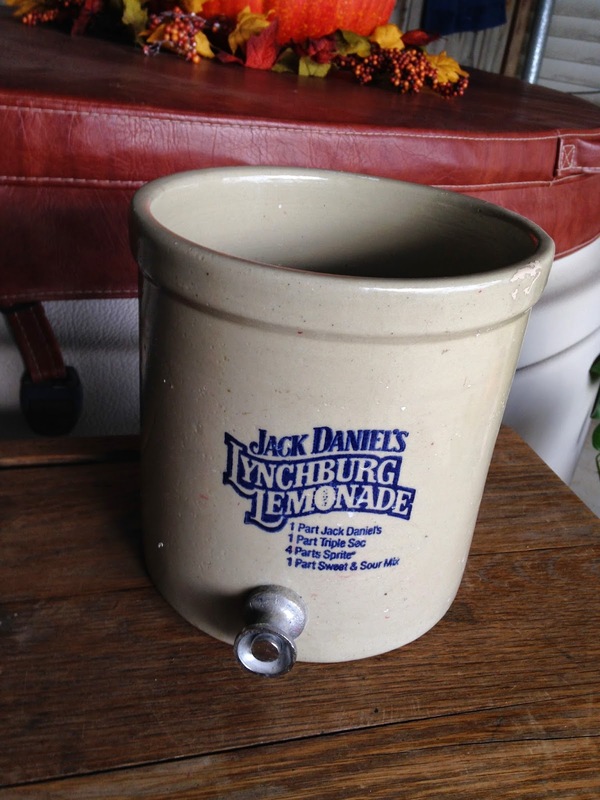 The King has a few "Jack Daniels" collectibles. So whether he realizes it or not, he's now collecting them! 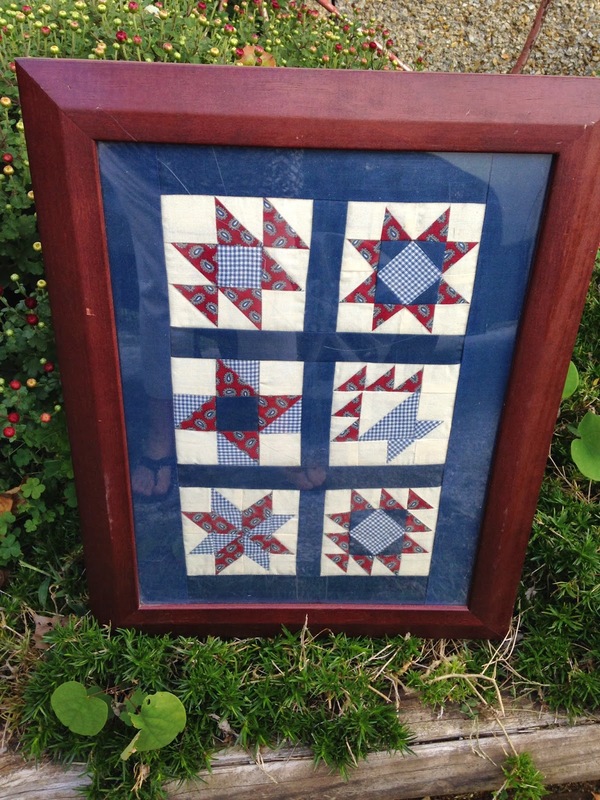 These framed quilt blocks were just too tempting to pass up. 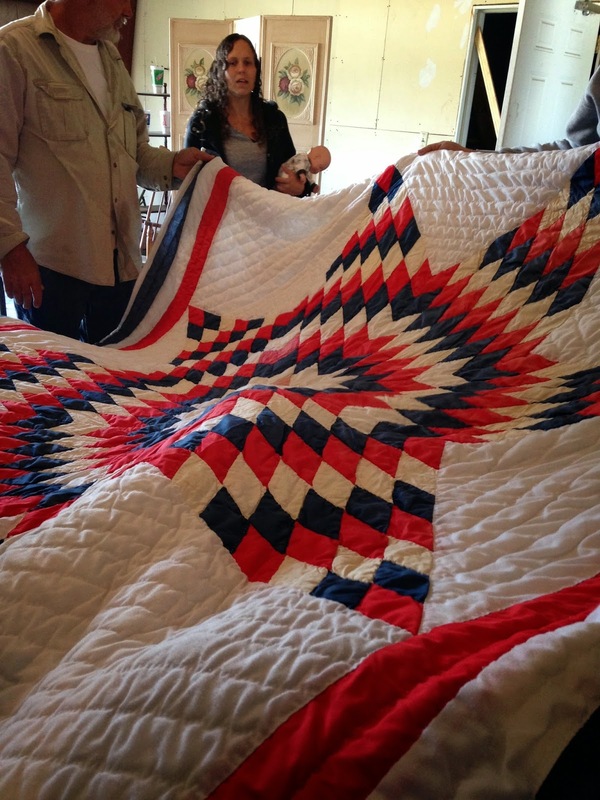 First of all they're quilts, second of all they are red/white/blue, and third of all it was only $2. Yes, I rescued it and it now has a happy home. 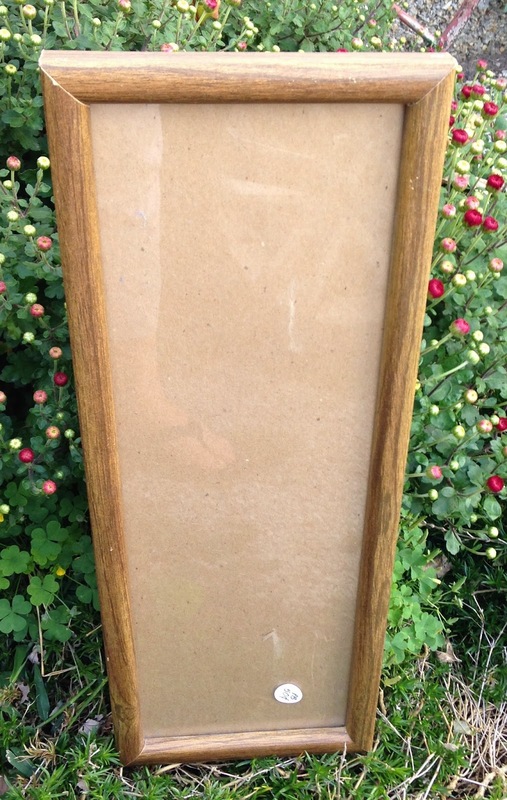 This oblong frame I got for 50 cents. I have the perfect crochet piece that will fill the frame when I get home. I didn't get this quilt. 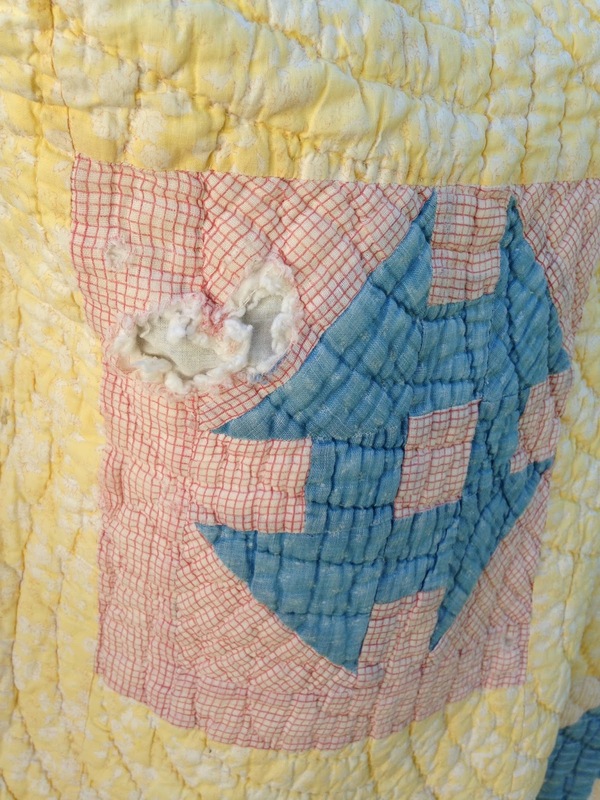 It really didn't go that high but when I buy an old quilt I like for it to call to me. This one almost did but the reds were faded pretty bad and it had a hole that showed polyester batting. I'm not a fan of polyester batting. 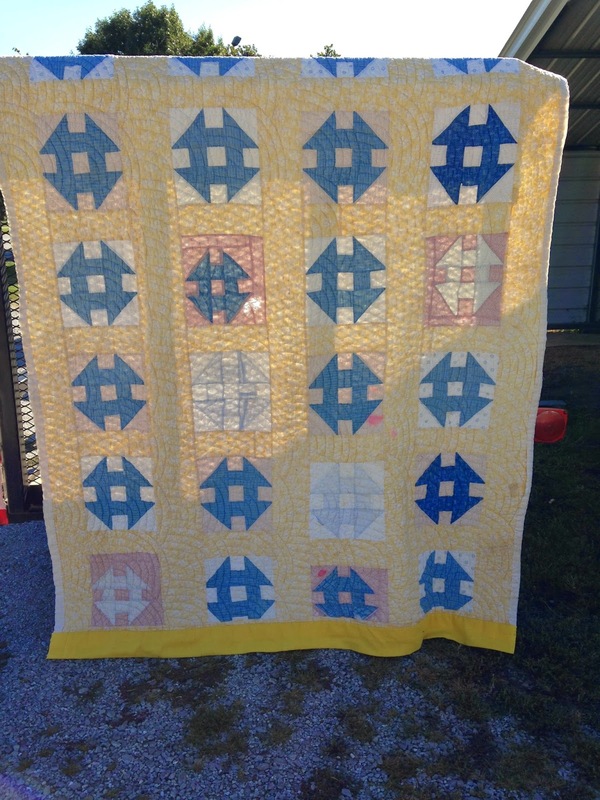 The quilting was pretty much straight line so I passed on it. I also rescued this old singer sewing machine for only $2. Dad is currently working on "fixing" it for me. I'll post more on it later when you see a pile of junk turned into a beautiful vintage sewing machine. The key was even with it. And then I got all of these frames for only $1 total. The small two on the left I have no plans for. The large chippy white one I am going to do a craft project that I'll blog about. The large one on the right I'm going to put William's senior picture in and the gray/purple one I have no plans for either. Not bad for 20 cents each. 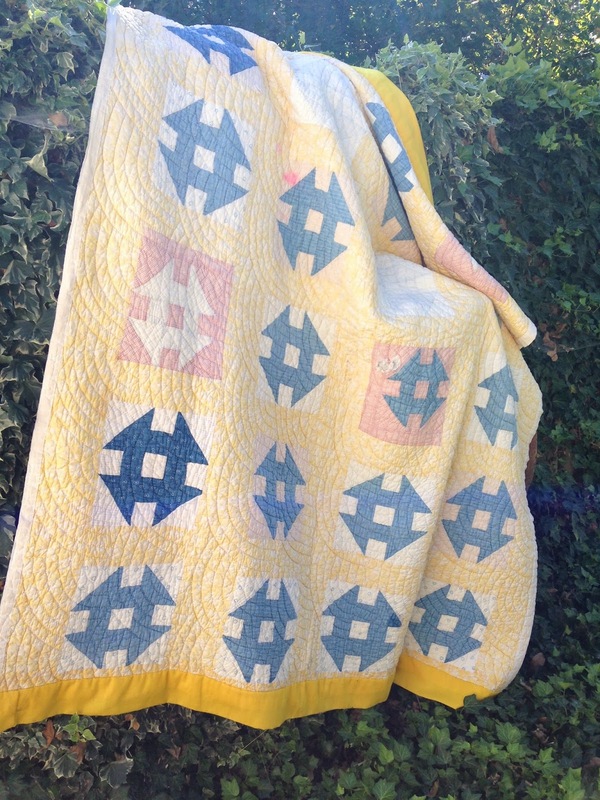 And another quilt rescue. 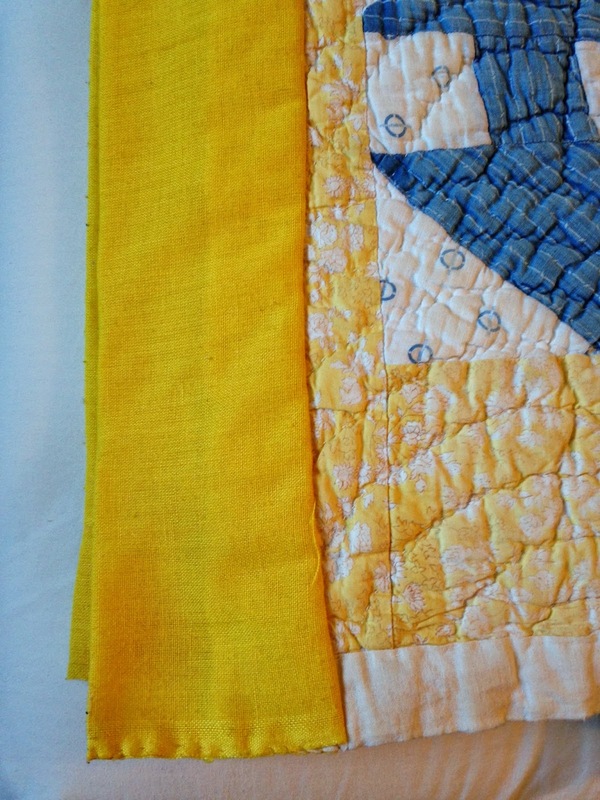 This one a churn dash pattern in a pretty yellow. The fabrics probably date to the 1940's. There is one hole in it and I'm going to try and repair. 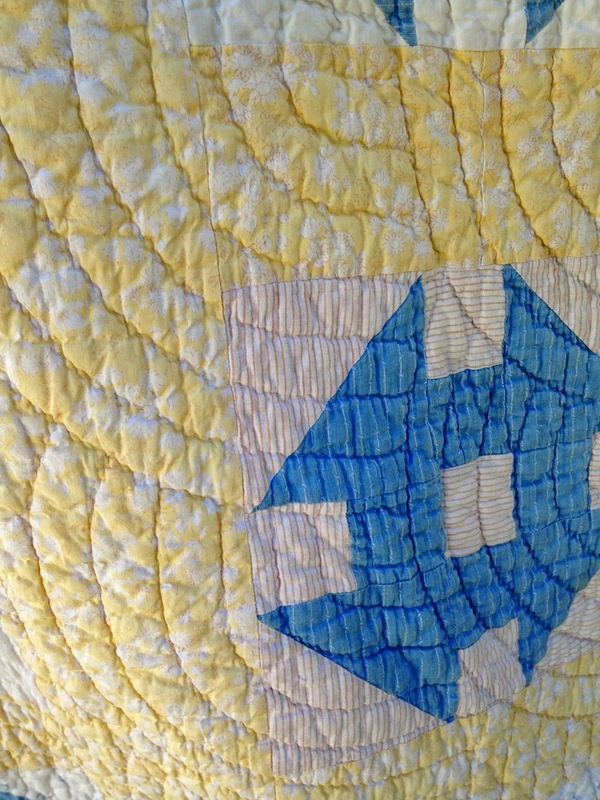 I love the baptist fan hand quilting. See that wide yellow band at the bottom. It is also across the top. I'm going to remove it and see what's underneath. I'm hoping to re-bind it as the binding on the sides is worn quite a bit. And I didn't get these at the auction, but they sure did taste good. 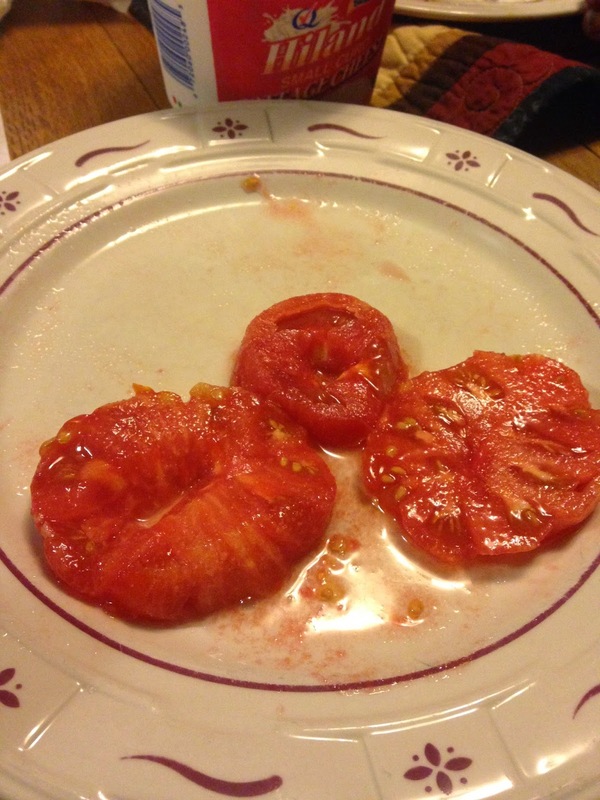 Sadly they are the last ones of the season from dad's garden. Yum, Yum!!! Rhonda got away before I took pictures of her auction treasures. I'll post them later. You scored some awesome treasures at Great Prices!! I just Love Auctions too! !